The mission of the Nano-Engineering & Smart Structures Technologies (NESST) Laboratory is to pioneer scientific discoveries and advance next-generation technologies in intelligent multifunctional systems. Multifunctional systems are material architectures that are precisely encoded with different engineering functionalities that include sensing, actuation, damping, healing, and energy harvesting, among many others. These smart materials technologies are applicable for structural health monitoring of civil, mechanical, aerospace, and naval structures and for achieving the future of resilient systems. 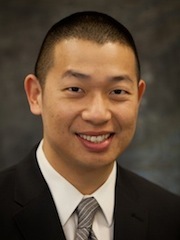 (June 2015) :: Prof. Ken Loh is appointed as the Director for the Center for Information Technology Research in the Interest of Society (CITRIS) at UC Davis. The mission of CITRIS is to create information technology solutions for society’s most pressing challenges. CITRIS leverages the research strengths of UC Campuses at Berkeley, Davis, Merced, and Santa Cruz. (Feb 2015) :: Bo Mi Lee passes her Ph.D. qualifying exam and advances to candidacy. Congratulations Bo Mi! (Aug 2014) :: Donghyeon Ryu completes his Ph.D. thesis titled, “Multi-modal, Self-sensing, and Photoactive Structural Coatings for Sustainable Infrastructures.” He will start his tenure-track assistant professor position in the Department of Mechanical Engineering at the New Mexico Institute of Mining and Technology as of August 18, 2014. Congratulations Dr. Ryu! (May 2014) :: NESST welcomes new graduate students: M.S. student Brandon Dashwood (USA); M.S. student Jesus Gonzalez (USA); M.S./Ph.D. student Sumit Gupta (India); M.S. student Julie Jackson (USA); Ph.D. student Yisha Sun (China); and M.S./Ph.D. student Long Wang (China).